Request a quote for Ball Style Adjustable Handle with SS Stud Insert today. JBF National manufactures this adjustable handle using the highest quality zinc die cast ball style handle, which comes coated in the hardiest of black powder finishes, and features premium 303 stainless steel components. Chrome finish available with certain sizes. 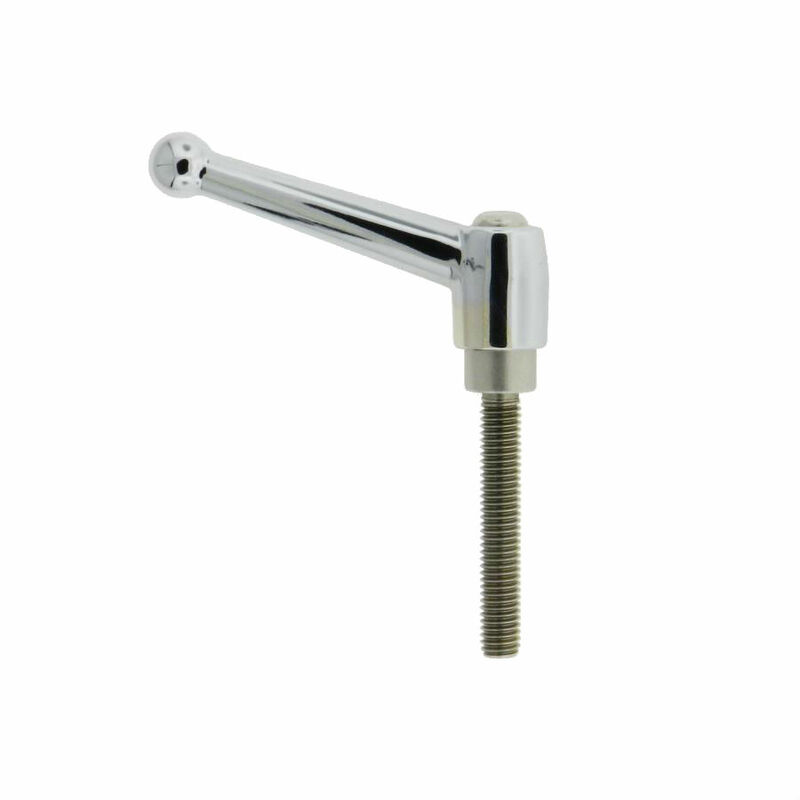 This adjustable handle (also known as a clamping lever) also features a significantly reduced screw cavity, therefore debris collection is practically non-existent, making it ideal for various industrial and non-industrial applications. RoHs compliant. 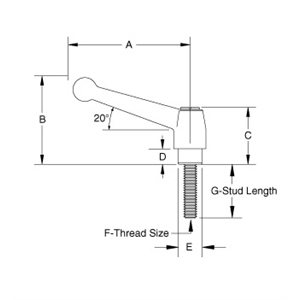 Inch and Metric versions available along with a variety of stud lengths. Please see component diagram below.